Have you noticed your cat pulling food out of the bowl, throwing it next to the bowl, and then proceeding to eat it? Perhaps your cat uses her paw to “fish” food out of her food bowl? Does she constantly demand food even though her bowl is half full? Does she consistently finishes only part of her meal? If you notice any of these signs, your cat may be experiencing whisker stress. Unfortunately, most of the cat food bowls on the market are not designed to prevent whisker stress, which is why Loren Kulesos and Erik Strom, two feline loving industrial designers, decided to create a bowl that takes the cat’s point of view into consideration. 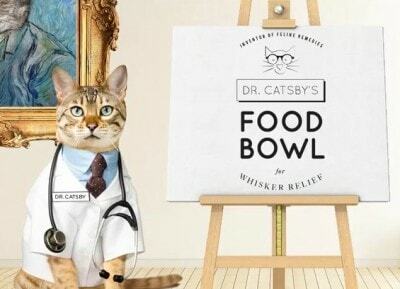 Dr. Catsby’s Bowls feature a wide but shallow dish which makes it easy for cats to access their food without pulling back their whiskers to avoid contact. A subtle top lip keeps food from being pushed out, which means less mess to clean up for the humans. The clean, simple design is easy to wash and will fit in a variety of decors. 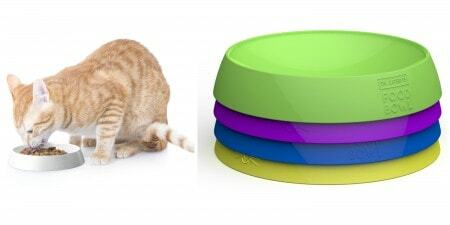 The bowls come in cat-friendly colors. The designers are currently raising funds via Kickstarter for this project, and you can help ensure that these bowls will go into production. Pledges start with as little as $2 and come with some super fun perks ranging from a free download of the hit song “Whisker Relief” to t-shirts and art prints. If you want to help bring these bowls to market, hop on over to Dr. Catsby’s Kickstarter page. Go Dr. Catsby! FTC Disclosure: This is a sponsored post, which means that I was paid to feature this content. Regardless of payment received, you will only see topics on this site that I believe are of interest to my readers. My divas will not eat out of bowls. At all. No doubt because the interference of the sides of the bowls with their long and luxurious whiskers. They trained me long ago to feed them on china or glass saucers, which I obtain inexpensively at thrift stores. I too would be reluctant to use plastic for feeding. 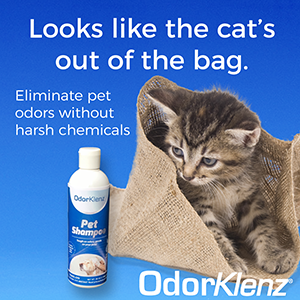 Two of my kitties have feline acne which I’ve always understood is exacerbated by plastic. A simple solution to whisker stress is to use plates instead of bowls. I use small glass plates purchased cheaply for only a couple of dollars each (or less). I would never use plastic because of the chemicals in it (even in BPA-free plastic), and it also can contribute to feline acne. For water I use a Pyrex glass pie plate purchased for about $4. Actually, I think it’s the cheaper Anchor brand that I bought at a local drugstore. It’s low and wide so whiskers don’t touch the edges. These may not be as cute and colorful as the bowls featured, but I believe they’re the healthiest and best options. Its why I use those small paper plates which I place in a small metal charger to hold it in place. That way they will always have a fresh plate, that is clean. Also since its a plate and not a bowl, there is no whisker stress. Anyone know what kind of synthetics/plastics these are made from? My cats have never done well with anything except glass, ceramic, or stainless steel. They’re made from ABS food safe plastic. They’re now offering a stainless steel one too.